DOWNTOWN BROOKLYN, Brooklyn (WABC) -- A hot dog vendor is recovering after a construction wall collapsed and tumbled onto his food stand in Brooklyn. The incident happened Monday afternoon on Fulton Street in Downtown Brooklyn. 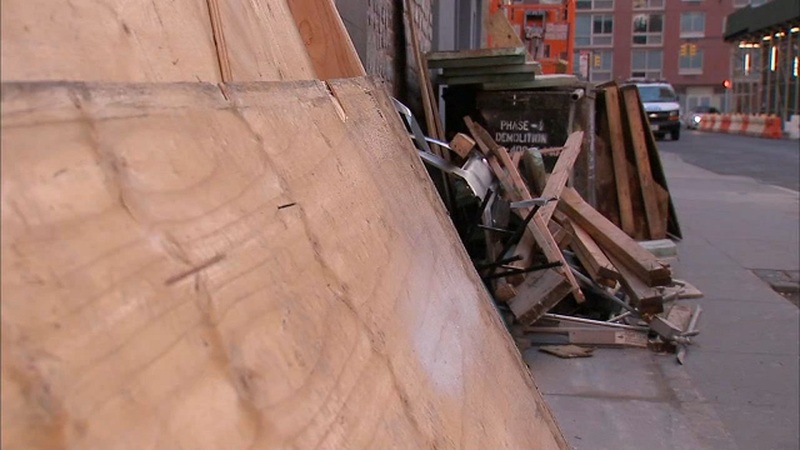 Officials say a wooden constriction wall fell and struck the vendor and his cart.